The word “design” has several meanings. It can mean to create something for a specific function, or it can be something that was created by someone. Designs are all around us, and math is a very important part of design! Learn how mathematics plays a role in the art of many different cultures. •Realize that cultures and civilizations, from ancient to modern day, use mathematical and geometric elements in developing structural and decorative designs. 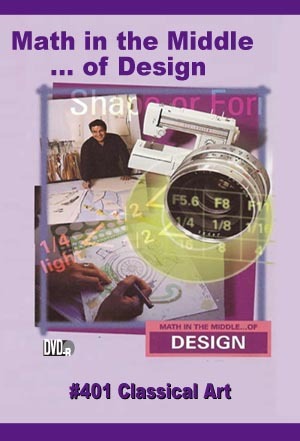 •Develop a geometric sense of classical designs by creating 2D and 3D designs. •Compare and contrast structural and decorative designs.